Today was Day 3 of our Ireland Tour which has taken us from Dublin to Glendalough, Waterford, Blarney, and now Killarney, where we today have taken the 109 mile Ring of Kerry, encircling the Iveragh peninsula. Today we began with a brief stop at St. Mary’s Cathedral in Killarney. St. Mary’s Cathedral at Killarney, Ireland. 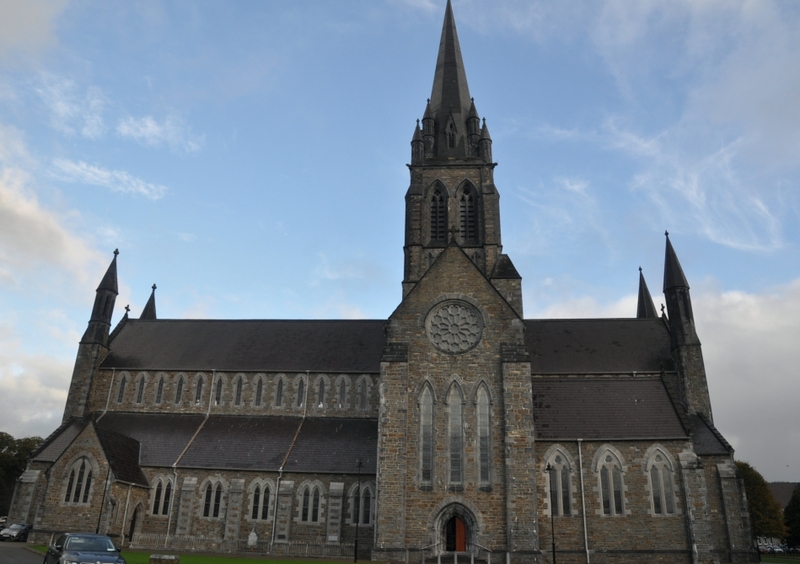 Killarney is home to St Mary’s, a beautiful Gothic-style building that serves as the cathedral of the Catholic Diocese of Kerry. Previously, St Brendan’s at Ardfert was the diocese’s cathedral. English architect Augustus Pugin, who worked on the iconic Palace of Westminster, designed St Mary’s with a rugged exterior and smooth, light-filled interior. This entry was posted on Thursday, October 12th, 2017 at 2:27 PM and is filed under photography, Tours, Travel, Uncategorized. You can follow any responses to this entry through the RSS 2.0 feed. You can leave a response, or trackback from your own site.